Our Industrial Computers utilise industrial components to allow exceptional quality, long term availability and a standard warranty of 3 years, with the option of extending to 5 years. 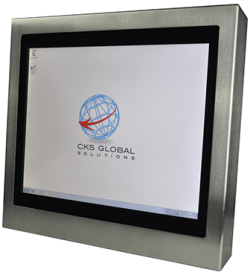 All our computers are presented in sturdy aluminium or stainless steel housing, providing strength and durability but without excessive weight and a variety of mounting options including wall mount, pedestal or free standing desk mount. We utilise motherboards from industry leader Intel and offer up to 16Gb of memory and up to 500Gb HDD/SSD storage. All our computers offer USB ports and dual Gigabit LAN interfaces as well as parallel ports, serial ports (RS-232/422/485) and PS2 ports for legacy monitor, keyboard, printer and other peripherals. Our products are highly customisable to suite your unique requirements and we offer a choice of operating systems. Please contact us for more details. Optional Wi-Fi can also be included since it’s not uncommon for computers to be located in areas where network cabling either isn’t present or isn’t possible to install. Embedded Box computers have an Ingress Protection rating of IP22 meaning objects such as fingers can’t accidentally enter the casing nor can dripping water. Our Panel PC’s all offer a rating of IP65, IP68 and IP69K. This means total protection from dust ingress as well as low pressure water jets, long term water immersion and steam jet cleaning. We understand you need computers in some demanding locations and our products are designed to meet that challenge. PC Panel computers are offered with Projected Capacitive or Resistive touchscreen technology or no touchscreen option depending on your environment and needs as well as a range of screen sizes. 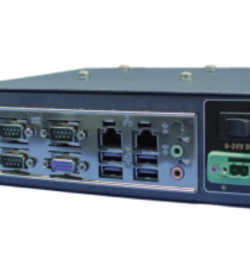 The rugged industrial client computers include a built in Watchdog that monitors, logs and conditions the product allowing optimum performance in harsh environments over a wide temperature range. Due to the environments in which our computers are used it is necessary to protect the sensitive inner workings from such conditions. Everything has been done to ensure the outer casings prevent unwelcome temperature changes from being felt inside but as a fail-safe mechanism the Watchdog software will take charge of such situations. If the environmental temperature moves outside of operating tolerances then Watchdog will prevent the computer from booting up. If the computer is fitted with case conditioning peripherals such as a heater and/or fan, the Watchdog will utilise these components to bring the computer to a stable temperature, allowing the computer to be safely used again. Rear panel LED’s provide rudimentary diagnostic information to assist the operative in troubleshooting and fault finding. CKS Global Solutions can build a computer for your needs so please contact us for more information.